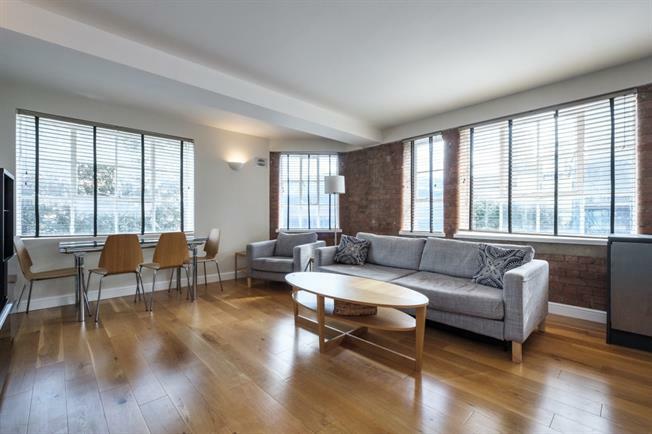 PREMIUM - A smartly presented two bedroom, two bathroom apartment in a popular Warehouse Conversion development moments from the City of London. This apartment offers open plan reception room, double bedrooms, an abundance of light, exposed brickwork and original features throughout. The bars, restaurants and nightlife of Spitalfields and Brick Lane are a short walk away. Transport links are easy with Aldgate East and Tower Hill Stations both a short walk.